Even though I love to eat fresh bread and love the intoxicating smell of it baking in the oven, I rarely make it. There really isn't anything hard about making bread, but it can be so time consuming. You can't just mix it up and stick it in the oven. The dough has to rise, and depending on what kind of bread you are making, that can take a lot of time. I guess when I have made it in the past I sometimes felt like I was planning my whole day around a loaf of bread. This recipe intrigued me because it is a no-knead recipe that doesn't have very long rise times because it uses quick rise yeast. 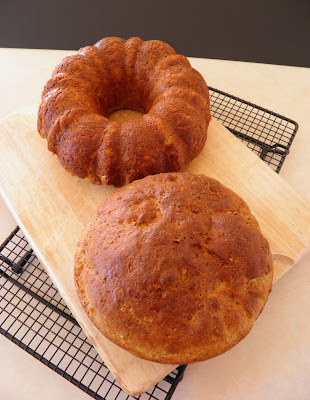 It makes two nice loaves and the onion-dill flavor is amazing. A no-knead bread with cottage cheese, onion, dill, and oats. 1. Heat onion, water, cottage cheese, and butter until approximately 120°F.2. In a large mixing bowl, combine 1 1/2 cups flour, yeast, sugar, salt, and baking soda.3. Add the eggs and warmed mixture and mix until completely blended, about 3-4 minutes.4. Add oats, dill, and 1 1/2 cups flour and continue mixing for 3-4 minutes.5. Cover and let rise in a warm place until nearly doubled, about 45 minutes. 6. 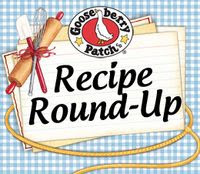 Punch down and place dough into two greased 1 1/2 quart casseroles or bundt pans.7. Brush tops with melted butter.8. Let rise uncovered in a warm place until doubled, about 30 minutes.9. Bake in preheated 350°F oven for 35 minutes.10. Remove from casseroles or pans, brush with melted butter and sprinkle with coarse salt, if desired.11. Cool on wire rack. I love home made breads, yours looks delicious...it has such a nice texture, I'm sure it was a welcome addition at your table! Oh yeah..this is my kind of bread..love this one so much! Awesome photo too! I love a savory bread. Yours looks so warm and inviting. Great!!! 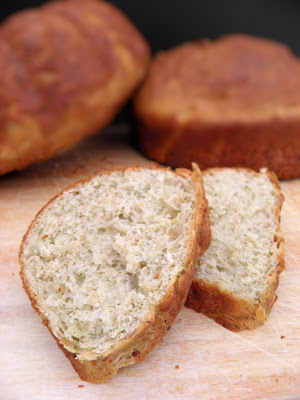 This sounds like a delicious quick bread! I love dill, so I may try this. Love your bread, it looks so perfect, savory, and delicious. Would like to try this recipe out! So interesting that there's cottage cheese in the bread! I love no knead bread and this looks like absolute perfection! Thanks so much for sharing your link with me on Facebook! Thanks to everyone for stopping by and taking the time to comment! This would be a good recipe for a newbie bread baker. Your bread is gorgeous and I love the onion dill combo. I'm going to try this next week. Thanks for sharing! I love that it is done in a bundt pan! Cannot resist bread in any form, and this looks like another to add to the list of cravings! The onion/dill pairing is sooo good! Yummmmm! Yeast bread can take up a chunk of time, but it is soooo worth it. This looks delicious. I love the onion and dill combo. I am a huge fan of homemade bread! Yours looks absolutely fantastic!